We have an every day low price model so we do not offer promotional discounts or volume pricing for most products. Tiered pricing is available for Canvas Minis. Our everyday wholesale prices for professional photographers and artists are intended to enable you to sell often and sell large groupings and commercial installations. We take Visa, MasterCard, and PayPal. Your card will be charged when you submit your order. If you choose to pay via PayPal with eCheck, your order will not begin processing until the eCheck has cleared. We charge sales tax in the following states: California, Colorado, Connecticut, Kansas, Louisiana, Massachusetts, Michigan, Minnesota, New Jersey, New York, North Carolina, and Texas. If you have a reseller license, please contact us for details on how to submit your license information. How long does it take to produce your products? It takes three business days to produce your canvas product. Please note: orders placed over the weekend will be considered received on Monday; the day that we receive your order is considered day zero. For example, if you place your order before 5:00 pm Mountain time on a Monday, your order is guaranteed to ship on Thursday. To get a shipping quote, add the items you wish to order to your shopping cart. In your shopping cart you can enter your zip code and shipping method to get exact rates before you place your order. How long will it take for a shipment to be delivered to me by UPS? We optimize shipments based on location so you're sure to get your project in the shortest amount of time. For ground transit times, please see http://www.ups.com/maps/results for a transit time map from our zip code, 80501. Please note: UPS Ground transit time is not guaranteed. The map depicts typical transit times, but these may be affected by volume and weather implications. We are currently setup to ship with UPS to the United States, Puerto Rico, and Canada. We have no immediate plans to ship elsewhere internationally. Please note that orders to Canada have very limited tracking information and may take up to 21 days to arrive. Do you have a tutorial video for website navigation and order placement? You can find our tutorial video here, which will walk you through the navigation of our website, as well as the steps for placing your order. If you have specific questions about using our editor once you've uploaded your images, you can fast forward to the :45 second mark. You can also watch a tutorial video for our Canvas Gallery Grouping builder here, and our Group Templates here. If you are using an anti-virus program for your computer, you may encounter issues uploading large images. Some anti-virus programs filter inbound and outbound internet traffic and cause issues uploading to our servers. To fix this, you may need to temporarily disable antivirus firewall or pause the antivirus temporarily while you upload. We do not offer any solutions to do this as you may need to check with your antivirus software support or help guides. I'm getting errors uploading large files what should I do? We upload your large images directly to our image servers not hosted on our domain to reduce the load on our servers. Because of this we found customers that are having issues uploading large files usually have computers blocking CORS (Cross-Origin Resource Sharing) preflight "OPTIONS" requests. Most older web safe software used to look at cross-domain requests as dangerous and usually blocked the requests all together. Now modern browsers do whats called a pre-flight request to the other domain before sending the actual payload. This pre-flight request uses the OPTIONS request unlike a GET, POST, or PUT. The pre-flight request is equivalent to your browser asking the server if the request it is about to make is expected behavior and waits for a reply. If the reply is successful then the payload is sent. In our case it is the image which is sent in chunks. If you need help or would like our Technical Support team to help troubleshoot, please contact us. Please save your file as a JPEG (.jpg or .jpeg) with MAXIMUM quality. Please see specific tips within the product FAQs for tips on recommended resolution for each product type. For Canvas Prints & Framed Fine Art Prints: 150 ppi is a sufficient resolution for printing on canvas. Files that are prepared at greater than 150 ppi do not provide a discernible improvement in print resolution due to the nature of the substrate. For Professional Photo Prints & Metal Prints: We recommend a resolution of 300 ppi or higher. Please note: We DO NOT recommend the printing of cell phone photos on our products. You will experience low-quality image reproduction and potential issues with the crop and/or layout of cell phone images on our products. We do not offer file editing or touch-up. Please perform all edits you wish to see before uploading your image. We do not offer custom sizes for any product. Our business development and production team are continually looking at new size opportunities based on our production capabilities and customer feedback. Our full range of sizes currently available is listed on our product pages. If your software’s print profile does not contain these settings, a custom profile can usually be created with these settings. The next step would be to get a monitor with at least an IPS panel rather than a TN panel. The IPS panels do not show color shifts as you change viewing angles as do TN panels. One other thing that is very important to consider when reviewing prints and editing is the external ambient lighting in the room. When editing it’s important to keep ambient light levels to a minimum, otherwise the reflections can cause blacks and colors to look faded. When reviewing prints it’s important to consider two sources of light, the light you are viewing the print in and the light that your customer will be viewing it in. For the sake of standardization in your workflow, it’s really best to choose a standardized light source for viewing your prints. You will want to choose lighting that has a CRI (Color Rendering Index) of 90 or above and for your proofing area don’t have any bright paint colors near the print or light source. A recommended paint for this area is GTI’s Standard Gray Neutral 8. This paint is drab and boring, but it is the most neutral gray paint on the market. With CG Pro Prints, we offer a 100% satisfaction guarantee in regards to the workmanship and quality of materials used to produce your canvas gallery wrap. We strive to deliver high quality products based on the order specifications set forth by the account holder. We cannot offer returns or refunds based on flaws in the original image file or decisions made by the photographer or their client after the order was placed. • Minimum Recommended Resolution: 100 ppi to 150 ppi or higher. Although our printers print at a very high resolution, due to the canvas texture, images at a higher PPI do not provide a discernible improvement in print quality. • The muted colors in your preview represent the portion of your image that will wrap around the sides and back of your canvas. You will have an opportunity to choose between a Classic Gallery Wrap or use a solid color border. • Our frames are 1.25" deep and we bleed an extra 0.25" around the back. 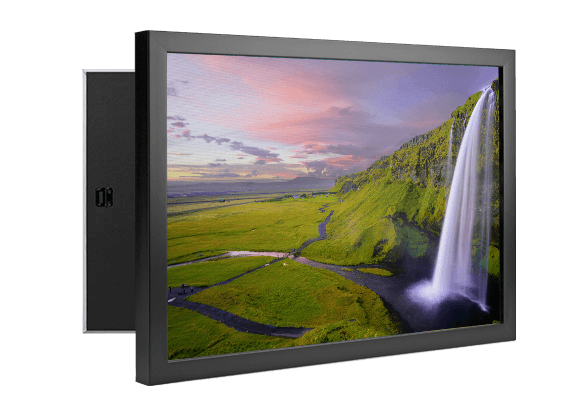 If you intend to purchase a Classic Gallery Wrap, you will need to account for 1.5" all the way around (a total of 3" each, horizontally and vertically). • If you intend to purchase a wrap with a solid color border, your image dimensions should match to the actual canvas size. If you would like to push more of the image on to the face of the canvas, a solid color border may be a good option to choose. Please note: We include a 1/8" of bleed of the main image onto the sides of the canvas wrap when color borders are selected. • Hanging hardware will be placed at the top of your image as it appears in the template. Please rotate your image prior to upload. 12" x 18" 15" x 21"
16" x 20" 19" x 23"
16" x 24" 19" x 27"
20" x 24" 23" x 27"
20" x 30" 23" x 33"
24 " x 36" 27" x 39"
30" x 40" 33" x 43"
We use only premium quality materials in our Canvas Gallery Wraps. Our canvas, ink, and coatings are formulated to work together to provide the highest quality, longest lasting product available. We have our own in-house UV test chamber and we continually test our materials to ensure that color will stand the test of time and last as long or longer than any other canvas prints available. What is the grade and weight of your canvas? We print on a premium artist-grade poly-cotton blend canvas. We do not use Optical Brightening Agents (OBAs). Our canvas weight is 360 GSM. What should I use to sign my canvas? Your canvas comes with pre-installed hanging hardware. If you need to install wire hanging hardware for gallery installation, please review the following article: How to install wire hanging hardware on your canvas. We cannot be held responsible for changes or enhancements that you make to your canvas. Canvases that have been damaged through the addition of hanging hardware are not elgibile for return or replacement. Do not install a wire hanging kit by attaching the wire to the pre-installed sawtooth hangers. The sizes listed are for the canvases themselves. The frames add approximately 0.75" on all sides (3/8" for gap between the canvas and the frame, and 3/8" for the outward facing frame edge). For example, a 12"x12" canvas gallery wrap will be approximately 13.5" x 13.5" including the frame. The depth of our frames is 1.75" total. The frames are made from recycled plastic. This makes them not only environmentally friendly, but solid, durable, and lightweight. Frames are currently available in a black, walnut, or white finish. 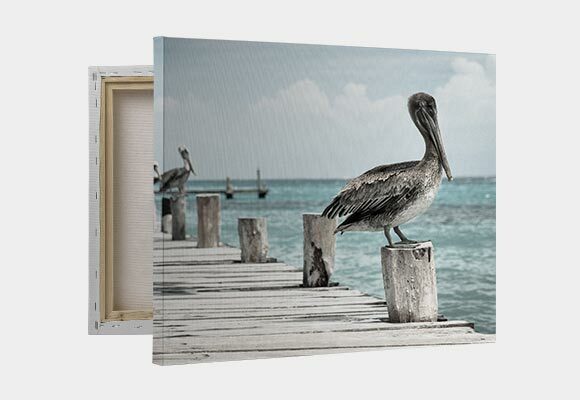 The fully finished Canvas Gallery Wrap is mounted in the frame using a proprietary combination of tension and adhesive. We do not recommend removing your canvas from its frame, or attempting to put a different image within the frame. CG Pro Prints is not responsible for any damage done to your canvas or frame by attempting to remove or alter the frame or canvas. At this time, we are not offering stand-alone frames, without a pre-installed canvas. 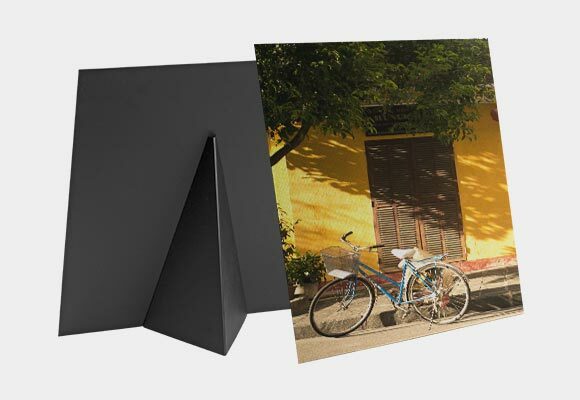 Is the turn-around or delivery time different for Framed Canvas Gallery Wraps? Framed and unframed canvas gallery wraps take three business days to produce. Please note: Orders placed over the weekend will be considered received on Monday; the day that we receive your order is considered day zero. For example, if you place your order before 5:00 pm Mountain time on a Monday, your order is expected to ship on Thursday. Framed Canvas Gallery Wraps come with pre-installed hanging hardware built into the frame, along with felt protective bumpers. The hanging hardware is placed at the top of the image as it appears in the template. We are currently conducting experiments on installing wire hanging hardware onto frames. We will update the article "How to install wire hanging hardware on your canvas" once our experiments have concluded. Framed canvases that have been damaged through the addition of hanging hardware are not eligible for return or replacement. What is the recommended image resolution for Framed Fine Art prints? We recommend using image files with a resolution of 150ppi or higher for Framed Fine Art prints. What is the production time for a Framed Fine Art print? Framed Fine Art prints take three business days to produce. Please note: Orders placed over the weekend will be considered received on Monday; the day that we receive your order is considered day zero. For example, if you place your order before 5:00 pm Mountain time on a Monday, your order is expected to ship on Thursday. What are the paper type and frame options available? We currently offer four different frame types: 1.5" Modern Black (wood fiber construction), 1.5" Modern White (wood fiber construction), 2" Espresso (wood), 2" Classic Black (wood). Framed Fine Art prints are available in two paper type options: Satin Lustre and Textured Watercolor. 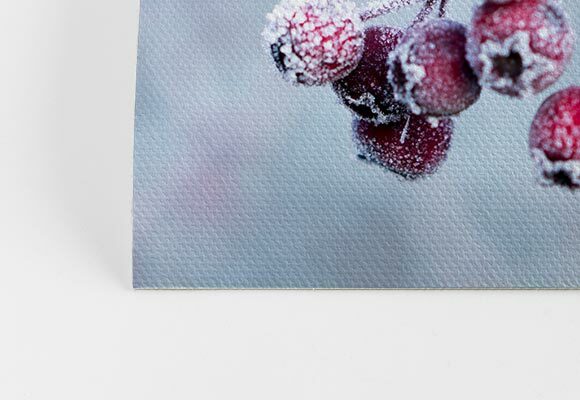 Our Satin Lustre fine art paper has a similar texture and finish as standard lustre photo print paper (210gsm, 9mil). Our Textured Watercolor fine art paper has a distinct watercolor texture which will show through your image (310gsm, 19mil). Each print includes a protective acrylic front. What inks are used in the printing process of the Framed Fine Art Prints? We print our Framed Fine Art Prints on high-end inkjet printers using a 12-color OTS ink process ensuring the truest and richest colors possible. What are the mat options? All Framed Fine Art prints arrive with a pure white double-mat. At this time we are only offering this mat option. We cannot provide Framed Prints without a mat at this time. How do Framed Fine Art prints hang? Each Framed Fine Art print is shipped with pre-installed hanging hardware and an easy-to-follow hanging hardware kit. The kits include wall markers/indicators, a bottom bumper, as well as small level to ensure your print is hanging perfectly. Each kit contains a step-by-step instruction insert or you can watch an installation tutorial video here. At this time, we are only offering the sizes list on our ordering page. What are the finished product sizes (including print, mat, and frame)? 8" x 10" 14" x 16"
11" x 14" 17" x 20"
10" x 20" 18" x 28"
16" x 20" 24" x 28"
16" x 24" 24" x 32"
20" x 24" 28" x 32"
20" x 30" 28" x 38"
12" x 36" 20" x 44"
24" x 36" 32" x 44"
8" x 10" 15" x 17"
11" x 14" 18" x 21"
16" x 16" 25" x 25"
10" x 20" 19" x 29"
16" x 20" 25" x 29"
16" x 24" 25" x 33"
20" x 24" 29" x 33"
12" x 36" 21" x 45"
24" x 36" 33" x 45"
Are Framed Fine Art prints available for customer pick-up? At this time, Framed Fine Art Prints will not be available for customer pickup shipping option.Our Framed Fine Art Prints are produced in our Raleigh, N.C. facility. As a result, we are unable to consolidate Framed Fine Art Prints with Canvas Gallery Wraps or other CG Pro Prints products. Framed Fine Art Prints will ship separately. • Our Easel-back frames are 0.5" deep and we bleed an extra 0 0.25" around the back. If you intend to purchase a Classic Gallery Wrap, you will need to account for 0.75" all the way around (a total of 1.5" each, horizontally and vertically). • Easel leg will be attached to the back according to the orientation of your canvas as it appears in the template. Please rotate your image prior to upload. Pre-installed hinged hanging hardware will also be included. 5" x 7" 6.5" x 8.5"
6" x 6" 7.5" x 7.5"
8" x 10" 9.5" x 11.5"
We use only premium quality materials in our Easel-back Canvas Wraps. We use the same artist-grade, poly-cotton blend canvas as our Canvas Gallery Wraps. Our canvas, ink, and coatings are formulated to work together to provide the highest quality, longest lasting product available. We have our own in-house UV test chamber and we continually test our materials to ensure that color will stand the test of time and last as long or longer than any other canvas prints available. It takes three business days to produce your Easel-back Canvas Wrap. Easel-back Canvas Wraps are currently only available in the 3 sizes listed on the product page. Custom sizes are not currently available. Photo prints take two business days to produce. Please note: orders placed over the weekend will be considered received on Monday; the day that we receive your photo print order is considered day zero. When will I receive my photo print order? Orders received before 5pm Mountain Time are shipped two business days after receipt of your order. We require a minimum photo print order of $20 (not including other CG Pro Prints products) or applicable taxes. Photo prints are printed on Fujicolor Crystal Archive Professional Paper. This paper type is Fujifilm's longest lasting photo paper to-date. Fujicolor Crystal Archive Professional Photo Paper delivers the highest quality prints with vibrant colors, deep blacks, and exceptional skin tone reproduction. Optimized silver halide crystals and superb color image stability make this Fujifilm’s longest lasting paper line yet. We currently offer two popular paper finishes. Featuring a semi-gloss lustre finish, Fujicolor Crystal Archive Super Type II PDN features deep blacks, vibrant colors, and excellent skin tone reproduction. 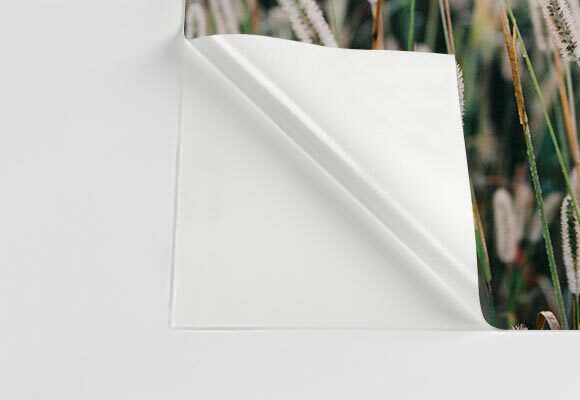 This is the most popular paper option and recommended for any type of photography. For professional photo prints, we recommend submitting files with a resolution of 300 ppi or higher. For optimal printing, your image files should be submitted in JPEG (.jpg or .jpeg) format with MAXIMUM quality. Smaller sized prints (5"x5" to 8"x12") will ship flat in a rigid envelope. Large size prints (11"x14" to 16"x20") will ship separately, rolled in a triangular tube. All Photo Print orders receive FREE standard ground shipping. Additional shipping charges apply to orders that contain other print products. Upgraded Next Day Air shipping is available for an additional $12 flat fee per order. At this time photo print orders are not available for customer pick-up option. Currently we are unable to ship photo prints to Canada. Your photo prints will arrive with the following statement printed on the back "Printed by Professional Photo Lab." Our company name will not appear on the back of your prints, any interior packaging, or external shipping packaging. Can you frame a photo print? At this time we do not offer framed photo prints. If you or your client would like to purchase a framed product, we suggest trying our Framed Canvas Gallery Wraps or Framed Standouts. At this time we only offer the photo print sizes listed on our website. Due to the high gloss finish of the Metal Prints, we recommend a resolution of 250ppi or higher. Using a process called dye sublimation, we infuse dyes directly into (rather than onto) specially coated aluminum sheets. The metal is coated with a high gloss, protective coating. Metal prints are highly durable. The ultra-hard, scratch-resistant surface is waterproof/weatherproof and can be cleaned easily--just avoid direct sunlight. We currently only offer the sizes listed on the metal prints order page. We do not offer any custom sizing at this time. At this time we only offer pre-installed hanging hardware options. 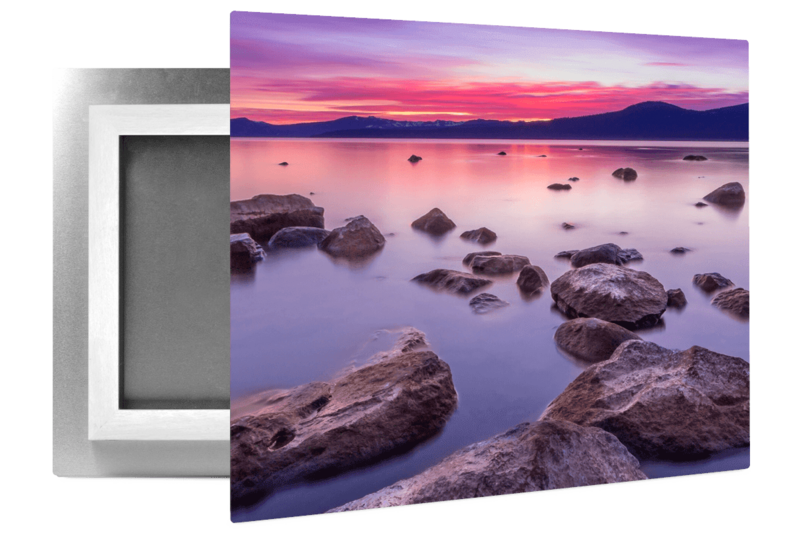 Larger Metal Prints come with an inset float mount frame with a nail groove, while smaller Metal Prints (8x10 & 8x20) come with a float mount, notched block hanger. Each mount is recessed from the print’s rounded edges and cannot be seen from the front of the print. Each Metal Print sits ½” off the wall.To see examples of our hardware options, please visit our Metal Prints Product Features page. At this time metal print orders are not available for customer pick-up option. Currently we are unable to ship metal prints to Canada. The minimum recommended resolution is 150 PPI. 300 PPI is the optimal resolution for these prints. 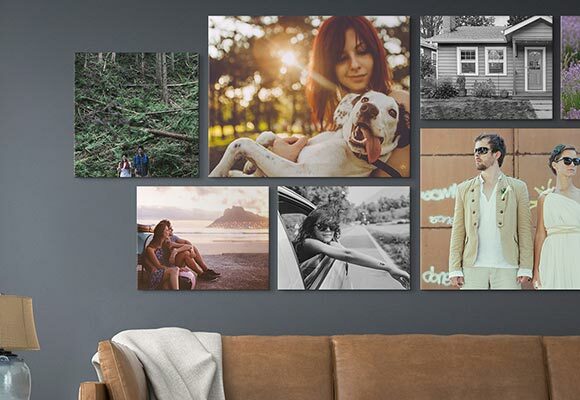 Canvas Minis are printed on a finer-weave, high resolution canvas. Canvas Minis shipped via UPS will arrive within standard delivery timelines. 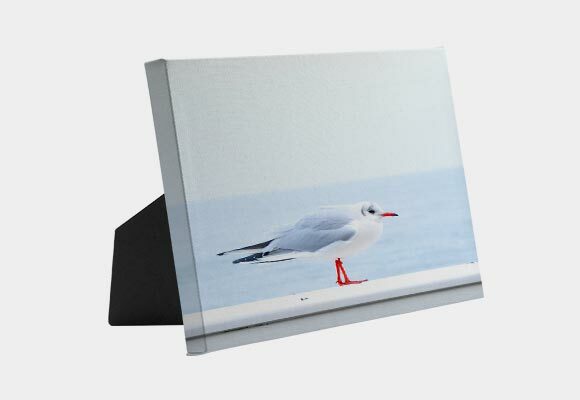 Canvas Minis ordered with Canvas Gallery Wraps or Canvas Posters will be shipped using the same ship method, but will arrive in their own box. Your discount will be automatically applied when you order multiple Canvas Minis of any size on a single order. Each order’s discount will be calculated separately, and cannot be combined. When you select USPS shipping (available only for orders that include only Canvas Minis), each Canvas Mini will ship individually – including orders of multiple Canvas Minis. Portions of your order may arrive on different days. Canvas minis are currently only available in the 6 sizes listed on the product page. Custom sizes are not available. Fill out the Canvas Mini stand replacement request form. No. Canvas Minis can be used in a variety of ways – including framing, hanging and many more! Please note: Canvas Minis that are damaged by modification are not eligible for replacement. What file resolution should I use for Rolled Canvas? The minimum recommended resolution is 100 ppi to 150 ppi or higher. Although our printers print at a very high resolution, due to the canvas texture, images at a higher PPI do not provide a discernible improvement in print quality. Are Rolled Canvases full bleed? Our Rolled Canvas is full bleed and will be cut to size once printed. If you'd like to include a border, you will need to design one within your file before uploading your image to our site. How long does it take to produce a Rolled Canvas? It takes three business days to produce your Rolled Canvas. How do Rolled Canvases ship? Rolled Canvases ship rolled in a tube using UPS shipping methods. Up to three Rolled Canvases will be shipped in a single tube. You may choose between UPS Ground Shipping, 2 Day Air, and Next Day Air shipping methods. Rolled Canvas will not be consolidated with Canvas Gallery Wraps or Canvas Minis. What are Rolled Canvases made from? Rolled Canvases are printed on genuine artist canvas with custom developed, pigment-based ink. Each is precisely cut to minimize fraying. Are Rolled Canvases available in custom sizes? Rolled Canvases are available in 13 standard sizes, listed on the Flat Prints page. We are not offering custom size Rolled Canvases at this time. NOTE: Rolled Canvases that are damaged through size modification are not eligible for replacement. How do I hang a Rolled Canvas? Rolled Canvases can be hung with double-sided tape, tacks, or framed. There are dozens of creative ways that you can use a Rolled Canvas! Note: Rolled Canvases that are damaged through hanging modification are not eligible for replacement. How do I clean a Rolled Canvas? Your Rolled Canvas can be wiped down gently with a soft damp cloth. What file resolution should I use for Giclée Paper Print? The minimum recommended resolution is 150 ppi. Optimal image resolution is 300 ppi. How long does it take to produce a Giclée Paper Print? It takes three business days to produce your Giclée Paper Print. How do Giclée Paper Print ship? Giclée Paper Print ship flat in a box using UPS shipping methods. Up to three Giclée Paper Prints will be shipped in a single box. You may choose between UPS Ground Shipping, 2 Day Air, and Next Day Air shipping methods. Giclée Paper Print will not be consolidated with Canvas Gallery Wraps, canvas posters or Canvas Minis. What are Giclée Paper Prints made from? Giclée Paper Prints are printed on our custom developed 264 gsm paper with pigment-based inks. 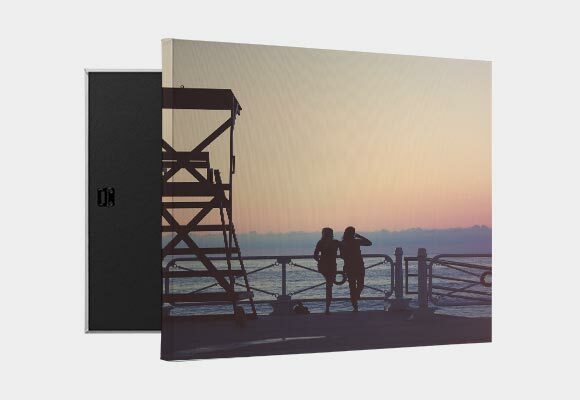 Are Canvas Posters available in custom sizes? Giclée Paper Prints are available in 13 standard sizes, listed on the flat prints page. We are not offering custom size canvas posters at this time. NOTE: Giclée Paper Prints that are damaged through size modification are not eligible for replacement. How do I hang a Giclée Paper Print? 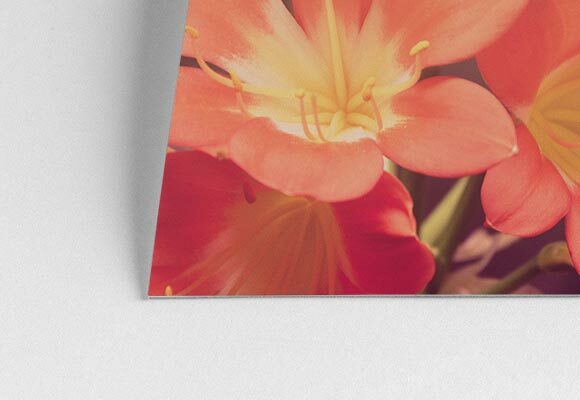 Giclée Paper Prints can be hung with double-sided tape, tacks, or framed. There are dozens of creative ways that you can use a canvas poster! Note: Giclée Paper Prints that are damaged through hanging modification are not eligible for replacement. How do I clean a Giclée Paper Print? Your Giclée Paper Print can be wiped down very gently with a soft dry cloth. What are Clings made of? Clings are made from a woven polyester fabric with a clear, acrylic and ultra-removable adhesive. Clings will be printed with the same pigment-based inks used on other CG Pro Prints products. This product will not have a top coat. Clings are mounted on a release liner that peels away from the removable adhesive. Start from the top right or left corner of the Cling and gently peel away the release liner from the chosen corner. Once you've peeled the corner, mount the exposed corner onto the desired display surface (best on interior walls) and gently press on the Cling to adhere it to the display surface. Continue peeling the release liner away from the Cling and press your hand along the print as the adhesive becomes exposed; being careful to press out any air pockets that form when adhering to the surface. Continue this technique until the full release liner has been removed and the entire Cling is adhered to the display surface. Your Cling package comes with a set of instructions as well. What are the best display surfaces for my Cling? What file resolution should I use for Clings? The Cling adhesive uses an ultra-removable microsphere technology that allows the Cling to remove cleanly and leave no residue for up to 2 years. It takes three business days to produce your Wall Cling. Please see our production FAQs for more information on our turnaround time. Wall Clings ship rolled in a tube using UPS shipping methods. You may choose between UPS Ground Shipping, 2 Day Air, and Next Day Air shipping methods. Are Clings available in custom shapes and sizes? Clings are available in 9 standard sizes, listed on the flat prints page. We are not offering custom size Clings at this time. NOTE: Clings that are damaged through size modification are not eligible for replacement. Our Leather Gallery Wraps are produced on premium quality European Bonded Leather from Valencia, Spain. The substrate is comprised of cowhide fibers bonded together by natural latex from Heavea trees and will be free of any natural defects. We use only premium quality materials in our Leather Gallery Wraps. Our leather and inks and are formulated to work together to provide the highest quality, longest lasting product available. Using our in-house UV test chamber, we continually test our materials to ensure that the color will stand the test of time. Our Leather Gallery Wraps are not coated as our inks are scratch resistant the moment they come off the press and will not fade over time. What file resolution should I use for my Leather Gallery Wrap? The minimum recommended resolution for Leather Wrap files is 160 ppi to 220 ppi. Files with resolutions higher than 220 ppi will be accepted, but due to the fine leather texture, they will not provide a discernible difference in print quality. My Leather Gallery Wrap has a small scratch or blemish. What should I do? To conceal a small scratch or blemish, we suggest using quick-dry pigment ink based markers. We recommend Copic Markers, available at art specialty stores. With a similar construction to our Canvas Gallery Wraps, Leather Gallery Wraps are built with a solid face to support the leather and keep it from warping or loosening. Leather Wraps also come with pre-installed sawtooth hanging hardware and are mounted on a solid black backing. Leather Gallery Wraps take three business days to produce. Please note: orders placed over the weekend will be considered received on Monday; the day that we receive your order is considered day zero. For example, if you place your order before 5:00 pm MT on a Monday, your order is expected to ship on a Thursday. Can the Leather Gallery Wraps be framed? We do offer Framed Leather Gallery Wraps in both the black and walnut finish. 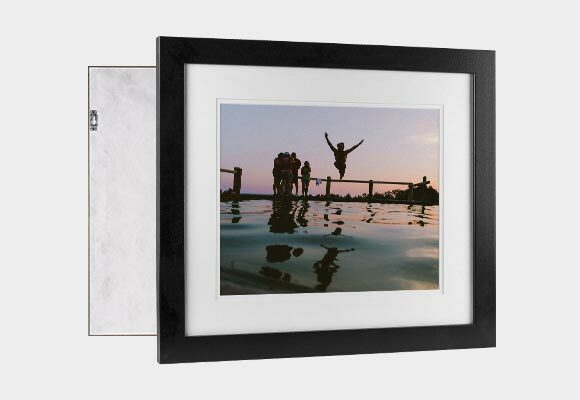 For more information on our floating frames, head to the Framed Gallery Wrap FAQs. I have a latex allergy, can I print my photos on your Leather Gallery Wraps? The natural latex used in our leather is sealed into the material during the manufacturing process and those with latex sensitivities will not be exposed to the latex within their Leather Gallery Wrap. The sizes listed pertain to the live print size and do not include the frame. The frame adds 0.875” to each side of the print, for a total of .75" added to the finished size of the product. For example, if you order a 12”x18” Framed Standout, the finished product will measure 13.75” x 19.75. The frame also features the same 1.25” depth as our Canvas Gallery Wraps. Describe the Lustre Giclée paper material. Our in-house Research & Development team custom designed our Lustre Giclée Fine Art paper which features a subtle metallic sheen. Because of this metallic quality, your image may print darker than it appears on your screen. The Canvas or Lustre Giclée prints are mounted flush to the frame. This framed product differs from our Framed Gallery Wraps which feature a floating mount. Framed Standouts take four business days to produce. Please note: orders placed over the weekend will be considered received on Monday; the day that we receive your order is considered day zero. For example, if you place your order before 5:00pm MST on a Monday, your Framed Standout is expected to ship on Friday. Each Framed Standout ships individually in its own durable box. Framed Standouts are finished with the same solid black backing featured on our Canvas Gallery Wraps. The backing includes pre-installed saw-tooth hangers. The Framed Standouts feature the same quality materials and inks used in our traditional Canvas Gallery Wraps. We custom designed a coating formula specifically for our Lustre Giclée prints which works to protect the paper and inks for long-lasting print quality. If your Framed Standout gathers any dust, you can wipe the Canvas, Lustre Giclée paper and frame with a clean, dry cloth. We recommend micro-fiber cloth to limit any scratches or damage to the print. At this time, we only offer Framed Standouts in the sizes listed on the order page. We recommend 150ppi minimum for all files printed on Canvas or Lustre Giclée Framed Standouts. What file resolution should I use? The minimum recommended resolution for Canvas Ornaments is 150 ppi. Canvas Ornament turnaround time is 3 business days. There is a minimum quanitity of four ornaments (any shape combination) required. How do Canvas Ornaments ship? Canvas Ornaments are placed in individual envelopes and grouped together for shipping in a vinyl (waterproof) bubble mailer/padded envelope. What are Canvas Ornaments made from? Canvas Ornaments are constructed with a durable, scratch-resistant canvas mounted on a premium cardstock. How do I clean my Canvas Ornaments? Canvas Ornaments constructed with a durable, scratch-resistant canvas and premium cardstock. You may wipe it off gently with a clean cloth. It is not recommended that you allow any moisture to come in contact with the cardstock in the center of the ornament. We only offer a red ribbon at this time. You may substitute with an alternate soft fabric ribbon of your choice. Please note: we cannot be held responsible for damage to your Canvas Ornament from using alternative hanging methods. We do print on both sides of the ornaments, but the same image is printed on both sides.